Rocky Mountain Flyball is a Colorado flyball club in Region 19 of the North American Flyball Association. While racing primarily in NAFA sanctioned tournaments, we also support the growth of UFLI. Rocky Mountain Flyball is a non-profit flyball club created to obtain freedom and flexibility in sponsoring tournaments in the Region 19 area. 2010 was a successful year for Rocky Mountain Flyball. RMF dogs earned collectively 22 titles. We had a few milestones: 4 5,000 points, 1 10,000, 1 15,00, 4 Onyx (20,000) 1 30,000, 2 40,000 and 1 60,000! One Rocky Mountain doga was listed on the top 250 list for the year. Our team runs top dogs in multiple breeds among English Setters, Toy Fox Terriers, Papillions, Border Collies, Mixes, Australian Shepherds and Mini Australian Shepherds. We look forward to watching the dogs climb the ladder at the Next Title page! Most of our dogs have 10,000 or more points and the ladder gets longer to climb with each consecutive title! Congratulations for Recent tournament achievements! Breeze and Stuart on their FMCh Title! Maverick and Virginia on their FGDCh Title! Lady and Dave on their 40K Title! Sadie Mae and Debbie on their 40K Title! Bella and Limmon on the Onyx Title! Jessie and Marsha on their FM Title! Faith and Lynette on their FM Title! See all titles earned so far this year on our NAFA Team Page! Flyball is a sport for all. Any dog, no matter the breed or skill should be allowed to run. Flyball clubs should not be a closed entity. As Rocky Mountain Flyball we welcome anyone, regardless of club affiliation to join us at practices (small fee to cover insurance is requested) to help further a competitor and their dogs road through flyball. 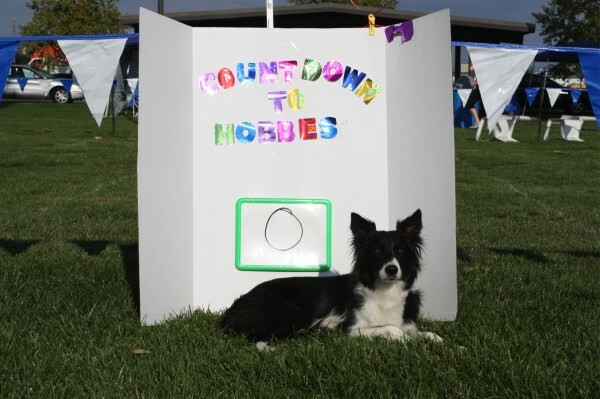 Rocky Mountain Flyball races for fun and points. We enjoy the comradery of our racing teams and seeing our dogs rise the ladder of flyball accomplishments. As a club we enjoy helping each of our members succeed and attempt to take an active role in the training of all dogs. A special thanks to Virginia and Terry for developing the RMF Logo. Additional thanks to Dave Ginnow for many of the pictures of the dogs playing flyball across the site.